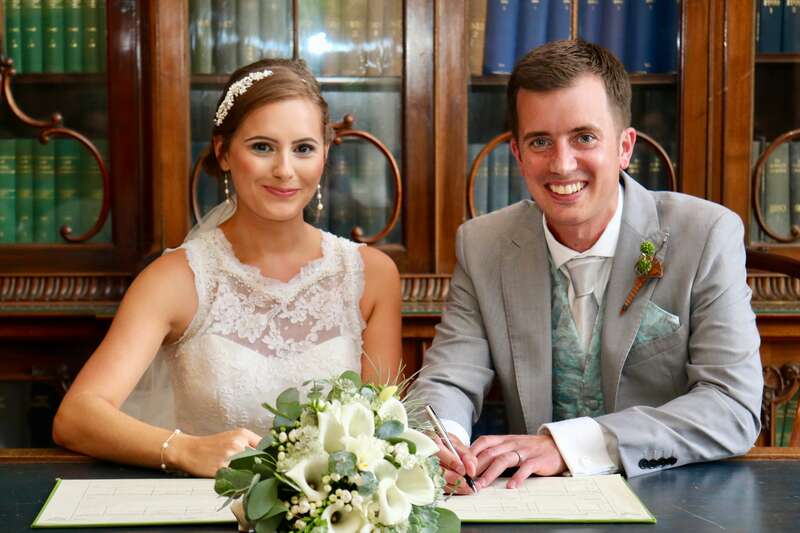 During the height of a beautiful summer, Emma married Duncan on the 11th of August 2018 at Rownhams House. The Denman connection? From one country house to another, Emma visited our Craft School the year before to discover the magical world of silver clay jewellery. Whilst staying with us, she took part in classes with the fabulous Melanie Blaikie and crafted pieces that truly shone. 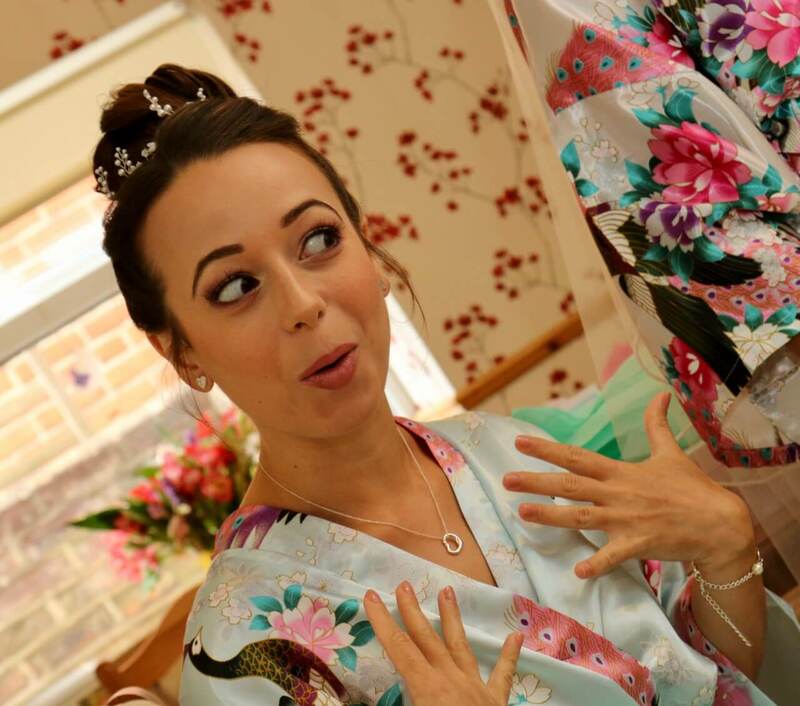 So much so, that she decided to incorporate the jewellery into her wedding day! For feature pieces, you can’t go wrong with a silver clay showstopper for that especially unique touch. 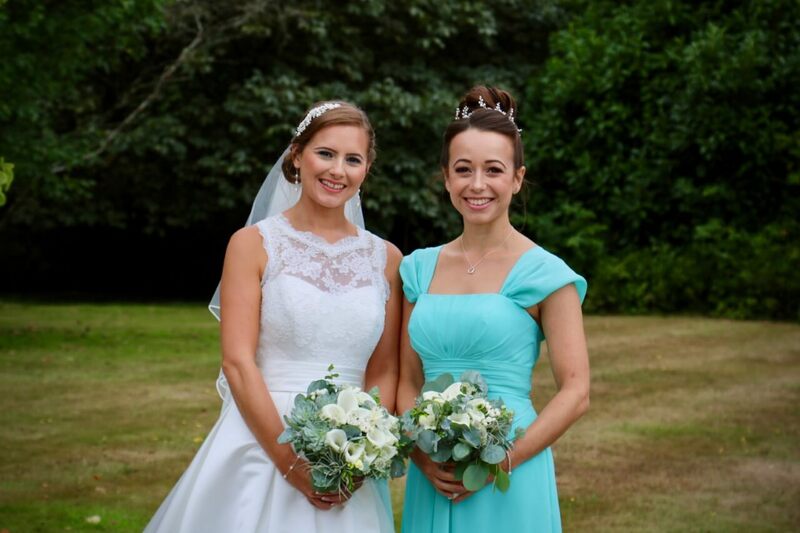 Bringing the wedding party together, Emma’s dad and husband each wore a set of handmade cuff-links whilst her sister and friend dazzled as bridesmaids with their twinkling heart earrings. 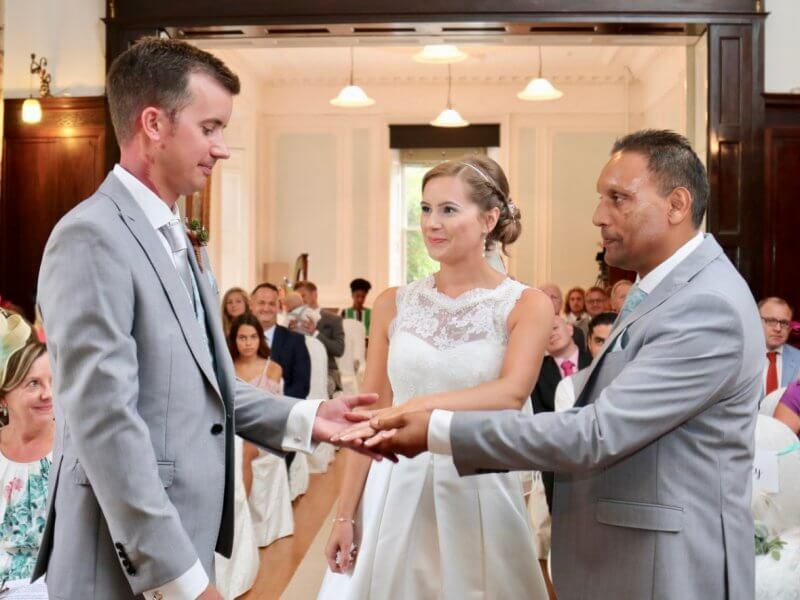 Emma was especially pleased with the “Love Heart” cufflinks that she made for her husband – as these are his favourite sweets, she was over the moon to spot the quirky mold on Melanie’s table during the course! Since the wedding, we’re very happy to hear that Emma can’t wait to return to Denman for the intermediate silvery clay jewellery course. We would like to wish Emma and Duncan the happiest of futures together, with plenty more crafting and many more stories to tell. A big thank you to Emma for sharing her story with us. The photographs featured throughout this blog post were taken by the wonderful Claire of Claire Burton photography. For upcoming one day and three day craft courses at Denman please click here. Been to Denman and have a story to share? Get in touch with us via marketing@denman.org.uk if you would like to be featured on our blog.